The Philadelphia Experiment, Time Travel And The Book Of The Future? Time-travel. Is it really possible? Well theoretically, yes it is. Are you going to argue with one Mr. Einstein? In 1984 New World Pictures released the film “The Philadelphia Experiment.” You can read more about the movie here. There are some though who claim the film is based on very real events. It is said the real Philadelphia Experiment was a military experiment that took place sometime around October 1943. It is claimed that the USS Eldridge was “to be cloaked” and “rendered invisible” to enemy devices. The US Navy has always maintained that no such experiments ever took place. It is stated that large electrical generators were used to bend light around the ship and so making it invisible. Some even claim that the experiment was the result of Nikola Tesla’s stolen papers following his death. You can read more about that here. Witnesses to the experiment allegedly said that they saw a “greenish fog” where the ship should have been. However it is what they stated they saw when the ship re-appeared that is most scary, if indeed the accounts are true. Time Travel - is it possible more than just in theory? Many of the sailors on the USS Eldridge were said to be suffering from extreme “nausea”, while some had simply said to have gone “completely bananas.” Perhaps worst of all were the claims that some of the men were said to have been embedded into the hull and metal of the ship itself. Apparently the test was run again and the ship “vanished in a blue flash.” It allegedly re-appeared 200 miles away in Norfolk, Virginia, in full view of other ships and US Navy personal. It remained there for ten minutes (some stated that this was evidence that it had in fact traveled back in time by ten minutes) and then was said to have re-appeared again, this time back in Philadelphia. So, are we buying it? 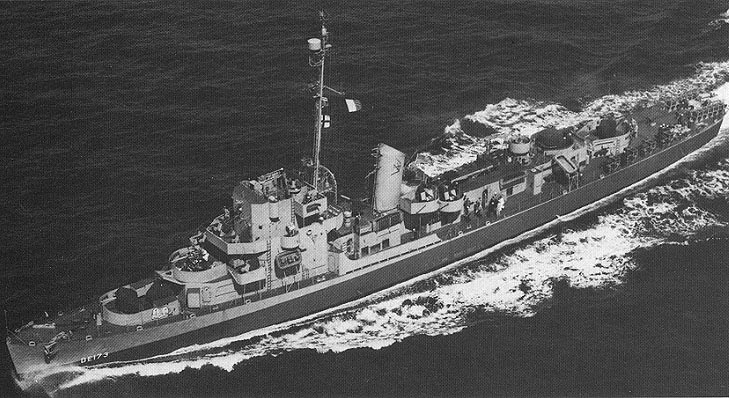 The USS Eldridge - did it travel back in time and "vanish?" There could be certain elements of truth to the basics of making a ship “invisible.” A technology called “degaussing” was said to be widespread across the allied navies during the later years of World War II. It was developed by Canadian Charles F. Goodeve and used a powerful electromagnetic field on board the ship to make itself “invisible” to enemy mines and torpedoes. Apparently one of these can still be seen on the deck of the HMS Belfast. And as for the ship appearing in Norfolk, Virginia and then back in Philadelphia in one day, this is said to be possible via the Chesapeake and Delaware canal. It is said that this route was used by military ships during the Second World War, something that was kept secret so as to avoid attracting the attention of German submarines and such. Check out the movie, and there are many documentaries to be found on the internet on the subject and see what you think. Incidentally there are numerous claims that intelligence services, particularly but not exclusively, the US services have been experimented and even implemented time-travel practices for many years. 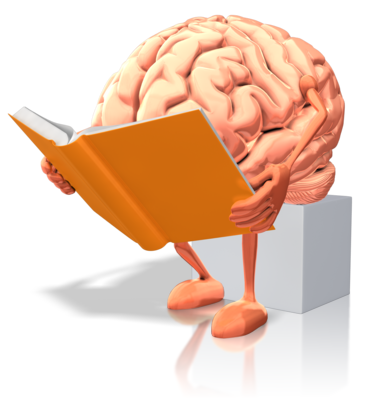 As far-fetched as some of them are they are very interesting reading. You can read one of the recent claims here. So what of other incidents and pictures of time-travel? Well there are quite a lot of them. 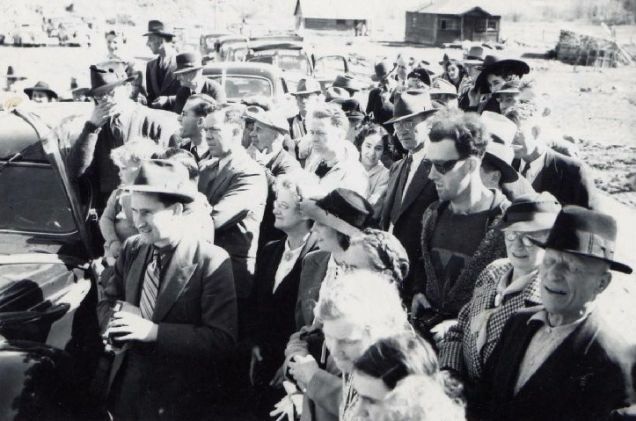 For example there is the picture of the man who has become known as the “time-travelling hipster.” The picture below was allegedly taken in 1941 but the gentleman with the sunglasses on is dressed completely out of place – the sunglasses, the clothes in general and the camera he is holding. Is this chap in the dark glasses a time-traveler? There is also the case of British Air Marshall Sir Victor Goddard, who claimed that while flying in 1935 he looked down and saw the airfield below him but it looked completely different in terms of it’s layouts and colour schemes. He described what he saw and then the claim was forgotten about. However several years later when alterations were done to the airfield, the completion resembled how Goddard had described it after witnessing it from his plane. Had he simply had a vision of the future, or had he traveled several years forward for just a few minutes and seen how it would look? You can read more about that here. There is also the alleged “woman on a mobile phone” in a 1928 Charlie Chaplin movie. You can view that video below and also see the video clip on the “top 10” time travel pictures and accounts at the end of this article. Perhaps one of the more interesting claims of time-travel is Paul Amadeus Dienach and his claims that he had traveled forward in time to the year 3096 and had seen the future through the body of one of the people of that time, a man Dienach said was called Andrew Notham. Dienach stated that when he had been in a coma due to illness for a year in 1922, his conscious had traveled forward in time and had settled into the body of Notham. This allowed him to interact with people of that era and according to the diary that he kept, the people of that time knew this and accepted his story, and so told him much of what would happen over the course of the years since his own time and their’s. Amoung the many things that he was told, one was apparently that by 3096 the next evolution in human beings will have happened. In their time, humans were Homo Novus Occidantalis. Did Paul Amadeus Dienach's conscience travel forward in time while he was in a coma? Dienach worked as a professor after he recovered from the coma but remained in ill health for the rest of his short life, eventually dying from tuberculosis in 1924 at the age of 36. Before he died though, he handed over his diary to his favourite student, George Papahatzis, that contained all of his memories from his time spent in the future while his his coma. Papahatzis, over many years translated the diary and although he made several attempts to publish the pages, their circulation has never been made easily available to the masses. Rather than this being a conspiracy of sorts, this is more likely due to him simply not being taken seriously. You can the view translated diary in full here – this is the introduction and then use the links at the bottom of the page for further translated pages of the Chronicles Of The Future, which will be “released” regularly. It should make for very interesting and recommended reading. As for time travel, if the theory can be turned into reality, then the possibilities are unlimited. 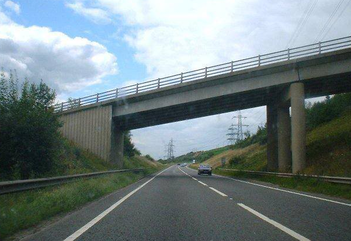 There have been numerous accounts of paranormal activity and sightings on this part of the A616. Is this Britain's most haunted road? ​The St. Valentines Slaying – Witchcraft? Sacrifice? Or Cold Blooded Murder Wrapped In Legend? ​The Torso Slayings, Lipstick Murders, The Black Dahlia Killing – The Work Of The “Most Prolific Mass Murderer” In American History? Were the above murders all committed by the same person.....? ​ The Mega Hex Of Saturn, Mercury’s Spider And Triton, The “Unnatural” Moon Of Neptune – Space Anomalies? The more that is discovered in space, the more questions are raised. Here are just three space anomalies.